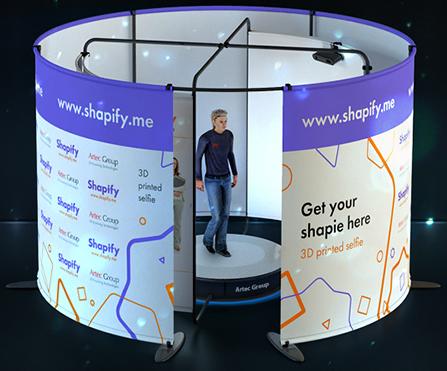 Artec Shapify Booth is brand new 3D selfie technology that automatically creates a 3D printable model of a person within just a few minutes. The booth employs four wide-view high-resolution scanners fixed to a rotating rig that take 12 seconds to scan the body of a person. The scanned surfaces are then automatically fused into a 3D model, which is an exact replica of the person. The model is then sent to the Asda 3D technology center to be printed out on a 3D printer. The full-color figurine can be picked up from the store 21 days later. Scanning appointments are made online at http://www.asda-photo.co.uk/bookings/1-3d-full-body-scan.